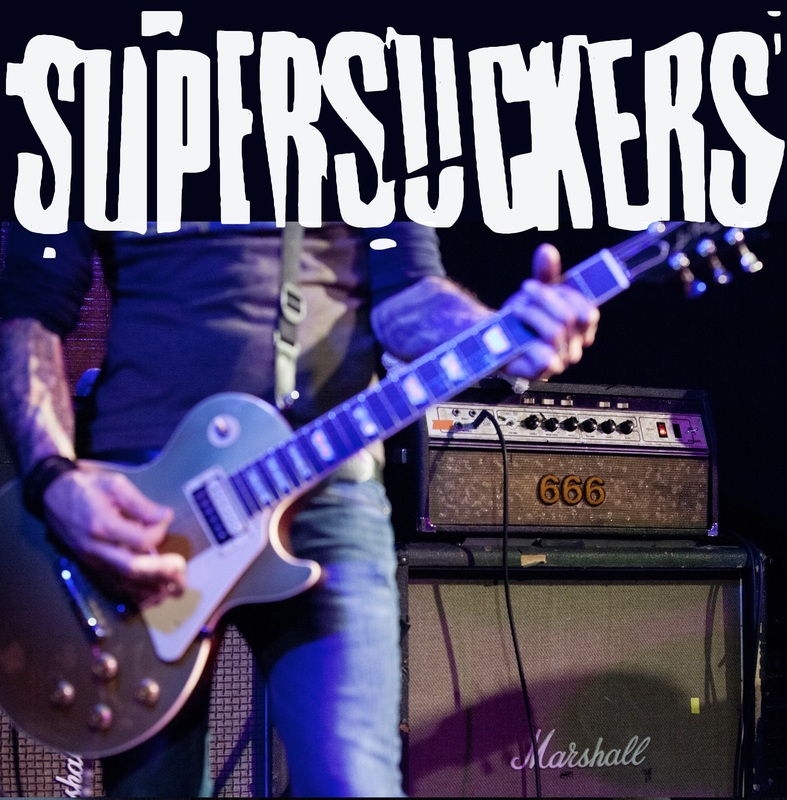 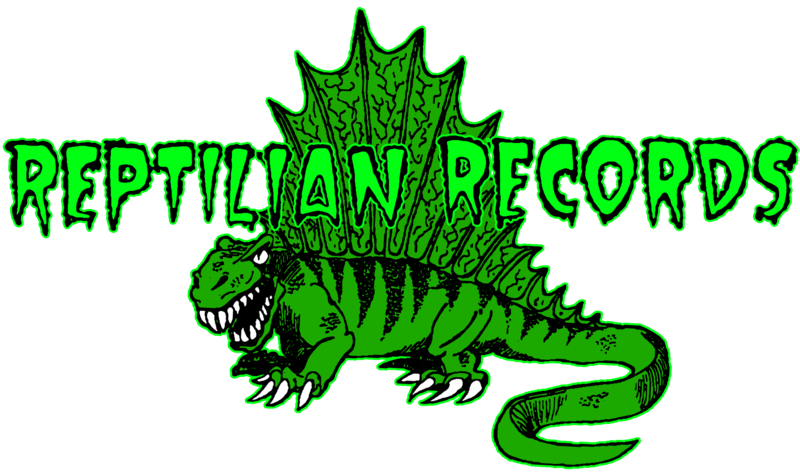 Reptilian Records - THE SUPERSUCKERS - GET THE HELL / GO! 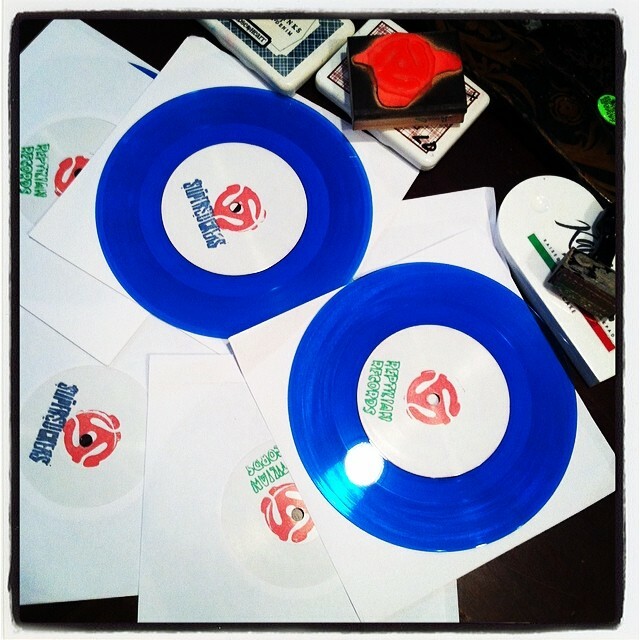 7"
400 WHITE VINYL - SOLD OUT! 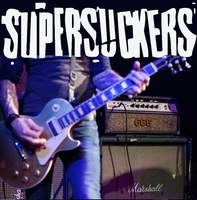 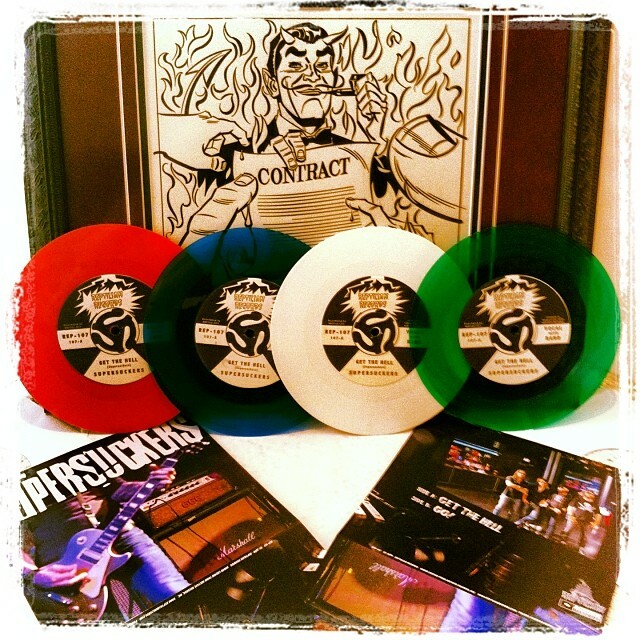 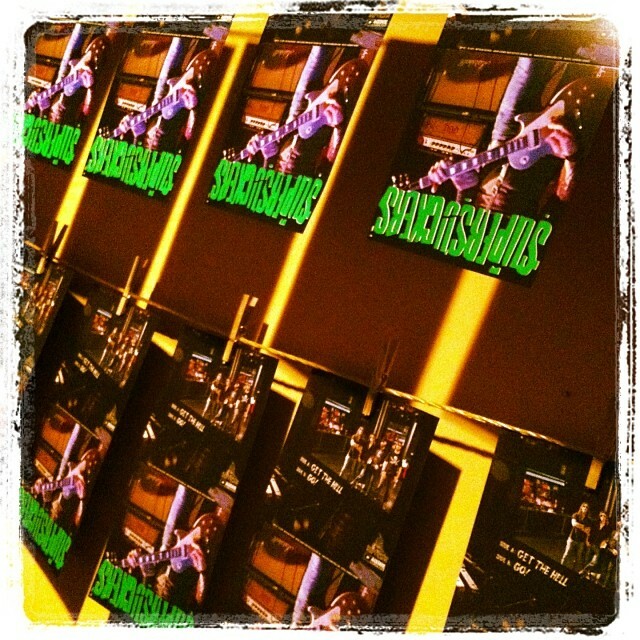 All come with full color covers with the Supersuckers logo hand screened in colors to match the vinyl.